Normally in the report for project in which a few TCs are failed we can see the request/response XML by clicking on traffic viewer on the HTML report generated. Similarly how to get all the passed TCs details as well with a link to request/resposne XML ? To see traffic for tests that pass you can enable 'Report traffic for all tests' in the test configuration. You will now see a "Test Traffic [All Tests] section towards the bottom of the report for tests that pass and a link to the traffic. 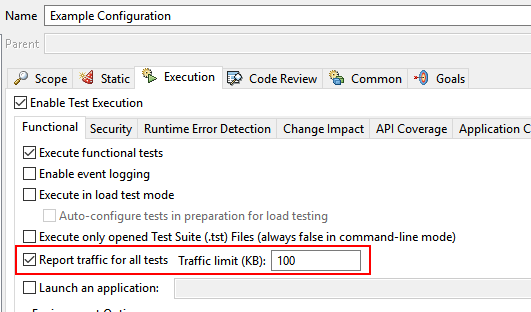 To capture all traffic, enable the option in the test configuration to "Report traffic for all tests". Next, in the Parasoft preferences under Reports, enable "Overview of checked files and executed tests" and disable "Only top-level test suites". 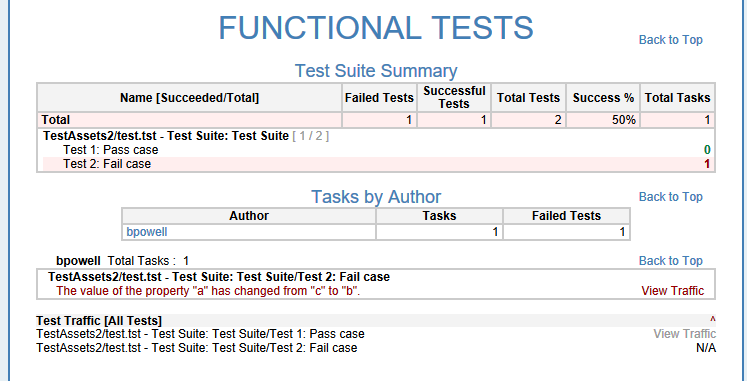 This way, the XML and HTML reports will capture all traffic and present that information for individual test cases.